Roundball Ramblings ~ Roundball Manor - The House that Basketball Built. 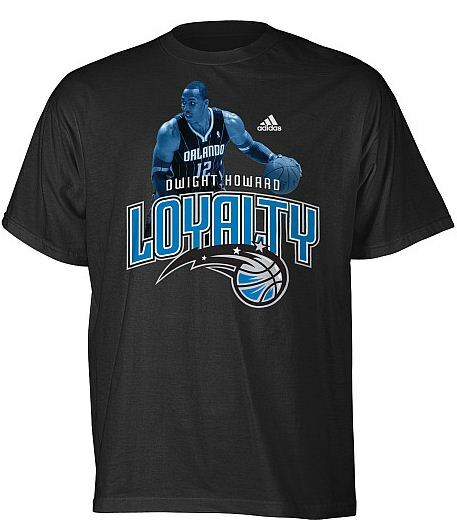 For starters, Ibaka deserved WAY more than a $25k fine. D-Wade got a one game suspension and upwards of a $200k fine for his "on-ball foul" against Ramon Sessions. Ibaka knew exactly what he was doing, and his stupid, tongue face after the fact on the sidelines cemented how much of a POS he is. Ibaka breaking the ONE unwritten rule in all of pro sports. Stay clear of the family jewels. I have to hand it to Rockets GM Daryl Morey. He is a shoe-in for Executive of the Year. He grabbed James Harden, signed Lin and Asik, AND snagged Thomas Robinson (the FIFTH overall pick of this year's draft only five months into his career). Stunning work. Every once in a while, I will come across pics of those alternate Golden State unis with the sleeves and the shorts that don’t match and it just makes me shudder. Somebody had to be fired over that. There are three types of people in Philadelphia: Those who are 100% against resigning Bynum; those who think resigning Bynum is a must; and those who recognize the Sixers are screwed either way. Where do you fall? The Heat are unstoppable. Now imagine the prospect (a very strong one at that) of a at the very least, serviceable Greg Oden manning the paint next year. Yikes. Google "jr smith pipe". You won't be disappointed. 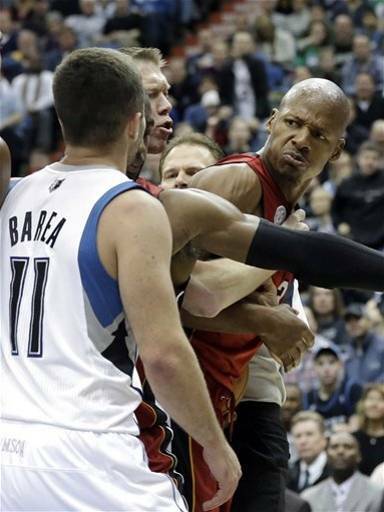 JJ Barea is insufferable. Captain Girly Flopper got into an 'altercation' with Ray Allen and proceeded to keep saying "You're a p*ssy" to Allen over and over upon getting ejected. Pot? Meet kettle. You're about the same size, too. You said it man. NOBODY fucks with the Jesus. Shuttlesworth. 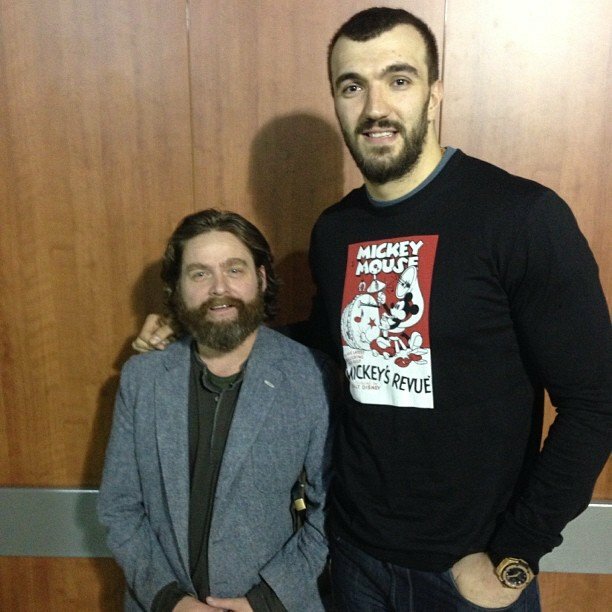 Nikola Pekovic is an UNrestricted free agent after this season, and he is going to clean up with his new contract. "Go 'head big Pek!!" <--- That is fun to say in a bombastic tone. Sometimes I think back to when Joe Dumars gave all that money to Charlie Villanueva and Ben Gordon and I get dumber because of it. That Lakers out-of-bounds play fake against the Hornets in their 25 point comeback win was genius and it fooled the entire arena. Just because: You know who the all-time good stats on a bad team guy is? Shareef Abdur-Rahim. (Nod). The Grizzlies have won 10 of their last 11 games. So much for missing Rudy Gay. Last month, his Airness laid the blueprint to beat LeBron saying if he goes right, he drives. If he goes left, he shoots. Well, last night, he went left, drove, and won the game at buzzer extending the Heat's win streak to 16. No MVP has ever been more locked up.